Darie Achstein-Conway, Sr. Global Trade and Compliance Manager at QLogic Corporation, specializes in domestic and foreign licensing and global trade regulations. She manages international and domestic trade compliance for the company. Ms. Achstein-Conway received her Bachelor’s degree in Communication and Marketing, as well as a Global Logistics Specialist designation, from California State University Long Beach. 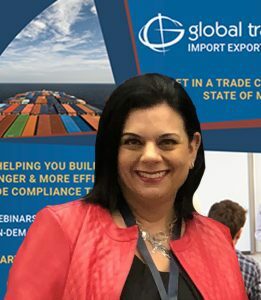 Ms. Achstein-Conway began her trade and compliance experience in the early 1990’s, when she was first introduced to imports/exports and shipping. She has spent her career in government, manufacturing, semiconductors, and technology. She has an extensive background in supply chain management and regulatory administration, and has held positions in areas such as information technology, quality, planning, sourcing, contracts, and procurement. Ms. Achstein-Conway has experience in regulatory law, both domestic and foreign, and has participated in many organizations nationwide. Since 1991, Global Training Center (GTC) established the standard for Trade and Customs training. While others use training to market products and services for their core business, GTC exists to deliver and provide education services and resources. With over 250 classes a year in 25+ U.S. cities, online webinars, private seminars, and on-demand training we have helped thousands of companies and individuals achieve compliance with ever-changing rules and regulations. Together with our extensive trade library and accredited classes for continuing professional development, it is no wonder GTC is the leader and first choice for trade and customs education.